On 18th Jun 1983, at Turnbridge Wells, with India reeling at 17/5, in walked Kapil Dev – scored the first century for India in ODI, an epic 175* .. .. we had to wait for more than an year, as Ravi Shastri made the 2nd ton playing against Australia at Indore in Oct 1984, Dilip Vengsarkar made 105 against England at Pune in Dec 1984; Shastri made another at Cuttack and then Krish Srikkanth made a flamboyant 102 off 104 balls against Australia at Jaipur in Sept 1986; a month later Raman Lamba made one at Rajkot. Will also remember Feb 24, 2010 at Capt Roop Singh Stadium in Gwalior – ODI against South Africa. Sachin Tendlulkar 36 at that time and some critics had even started talking about his retirement, opened with Virender Sehwag, had close to 200 partnership with Dinesh Karthik – saw MS Dhoni annihilate 68* of 37 balls – all that was to be eclipsed by the little master. It was nearly 4 decades since the 1st ever ODI – there have been weaker attacks – but no batsman had ever scored a 200 in an ODI [that used to be a standard Quiz Q – who is the only player to have scored double century in ODI ??] – Sachin made a brilliant 200* eclipsing many records and SA bruised badly with 153 run annihiliation. Do you know that New Zealand women's national cricket team is nicknamed the White Ferns ~ and do you follow their fortunes ?? New Zealand made its Test debut in 1935, against England, becoming the third team to play at that level. With Australia and England, New Zealand is one of only three teams to have participated in all ten editions of the Women's Cricket World Cup. 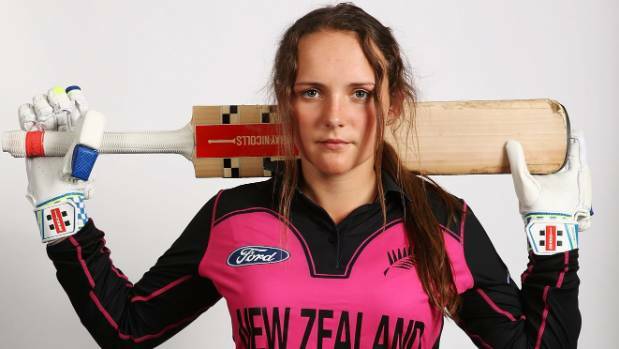 Last month White Ferns teenager Amelia Kerr signed a contract to play in English women's T20 competition. The 17-year-old linked up with the Southern Vipers for the Super League season, starting on July 23. She will play alongside White Ferns captain Suzie Bates, who is already contracted to the Vipers. Charlotte Edwards said "In Amelia, we have one of the brightest young talents in the game and she's already made a big impact on the international stage with her leg spin," she said. Not many noticed her perhaps !! 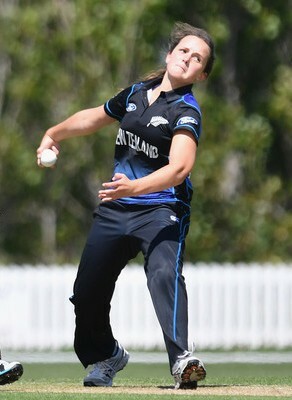 Today - New Zealand’s teenage sensation Amelia Kerr who bowls leg spin created history blasting a record-breaking unbeaten 232 against Ireland to become the second woman to score an ODI double-hundred at Dublin. Amelia Kerr entered the record books by scoring the highest individual score in women's ODIs. She reached her double-century in just 134 balls. Before this series, Kerr's highest ODI score was 30 and she had scored 174 runs overall in her ODI career. Kerr's innings on Wednesday consisted of 31 fours - the highest in women's cricket and second highest behind Rohit Sharma's 33 during his 264. Kerr also became the fourth-youngest (17 years and 243 days) to score an ODI century when she was promoted to open the innings for the first time in her career. Mithali Raj holds the record for the youngest to an ODI century when she got to that feat at 16 years and 205 days, also against Ireland. Kerr reached her double-century off 134 deliveries with a four in the 46th over. She was on 217 when the final over of New Zealand's innings began. And she struck two boundaries off the fourth and fifth delivery and a six off the final to etched her name in cricket history books. For the third straight time, New Zealand women went past the 400-run mark and finished on 440/3. She was involved in a record second-wicket partnership with Leigh Kasperek who scored her maiden ODI hundred before being out on 113 off 105 with 10 fours. Kerr carried her bat through and her innings was studded with 31 fours and two sixes. At 17 years & 243 days, Kerr also became the youngest double-centurion in international cricket – men and women included. Getting back to that Cricket Quiz Q - Kerr’s unbeaten 232 surpassed the only other double century made by Belinda Clarke (Aussie) against Denmark in ODI World Cup at Mumbai in 1997. Belinda left a great impression with her game and captaincy. In 1997, she captained Aussies in 4th WC – despite her 91 in the final, Aussie lost by 4 runs to new Zealand. Records are meant to be broken is what they say ! Scotland beats England at Edinburg ! how tasty is the food cooked by robots !! majestic elephant ~ language problem ! !